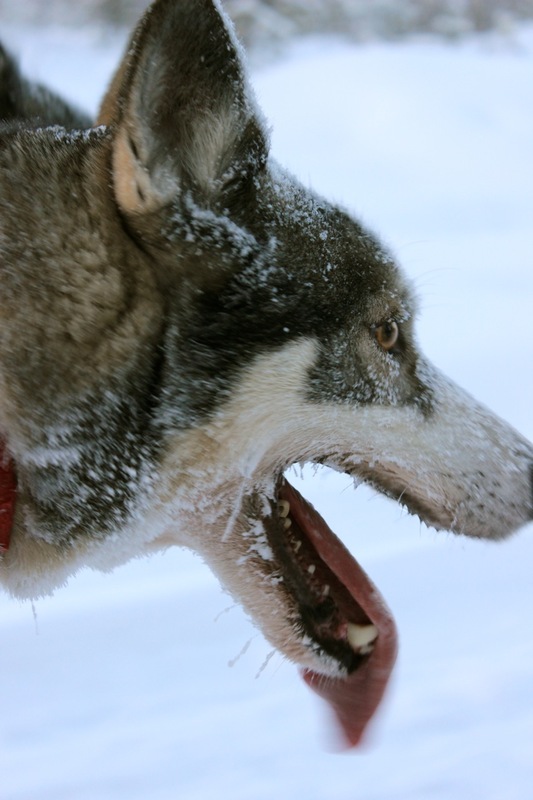 One of the huskies close-up during the ride. This is one of my favorite shots I took from our adventure! 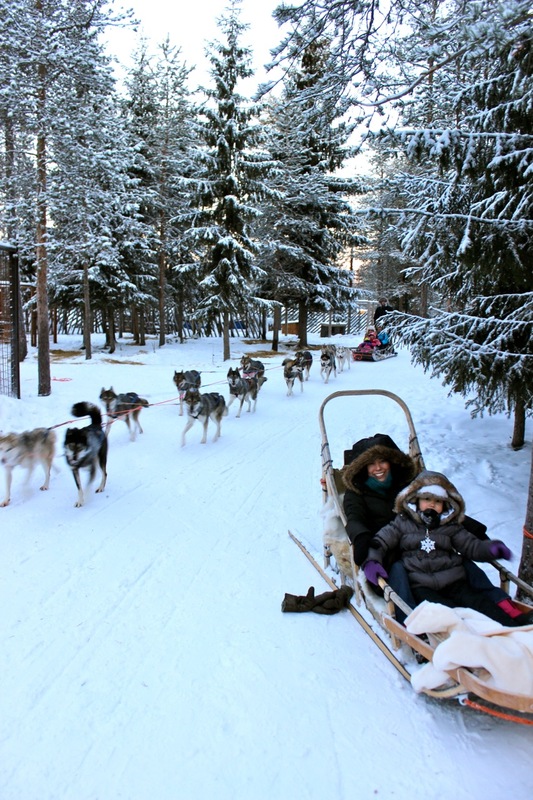 My family and I had the chance to go Dog Sledding with Huskies and also to see the Northern Lights while on our visit to Rovaniemi, Finland a few weeks ago. 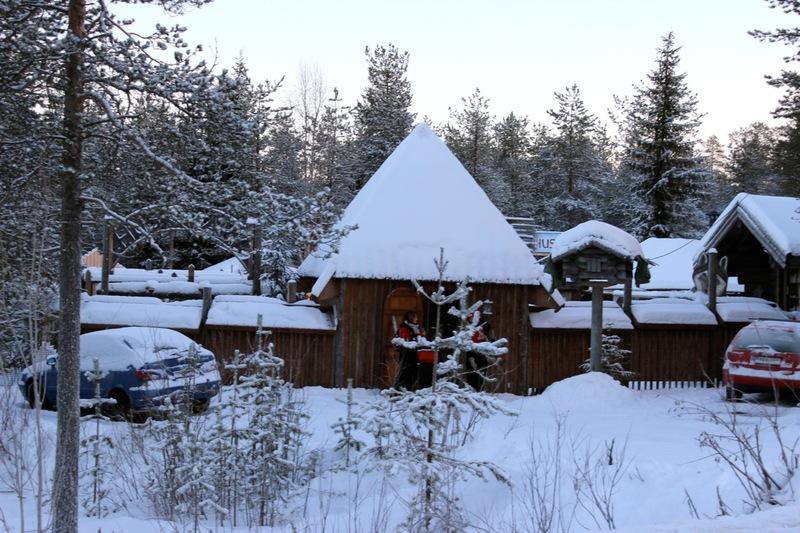 Our trip to Lapland was one of the most exciting trips that we have ever taken! 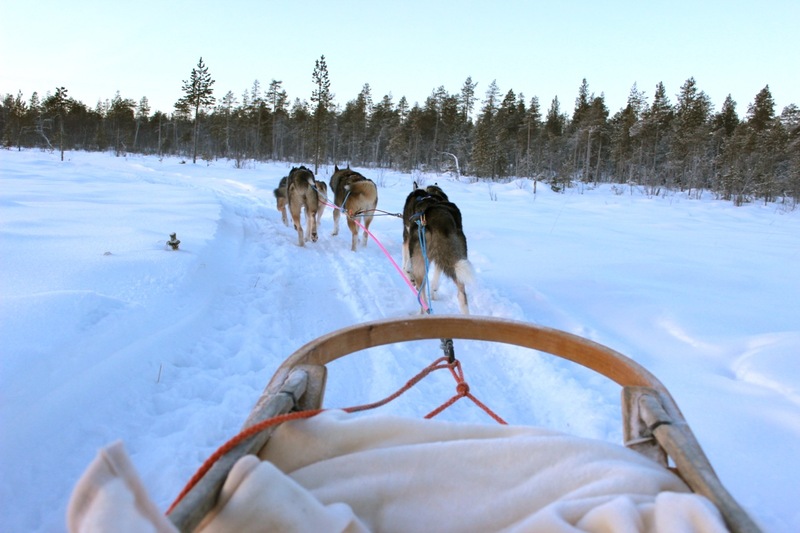 Dog sledding with the huskies was probably one of the most exhilarating and relaxing experiences of our lives. The huskies were so excited before we went off for our ride… they kept doing this weird jump that reminded us of a fox while hunting. They couldn’t keep still and could hardly wait to go on the run!! We signed up for a one hour safari at the resort where we were staying (Santa Claus Holiday Village). When we signed up for the safari, we had no idea that my husband would be the one to actually drive the sled. Wow!! He had to go through a little lesson on how to use the brakes by pressing down on a wedge with his foot that went into the snow. 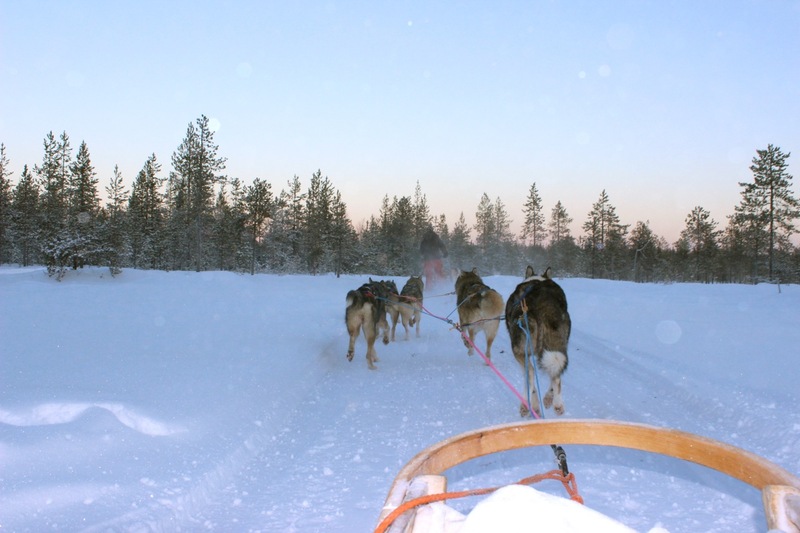 He was also told how to assist the huskies while going uphill by pushing off in the snow with his feet. Mia and I sat in the sled and were covered in blankets since we were going on a pretty long ride. 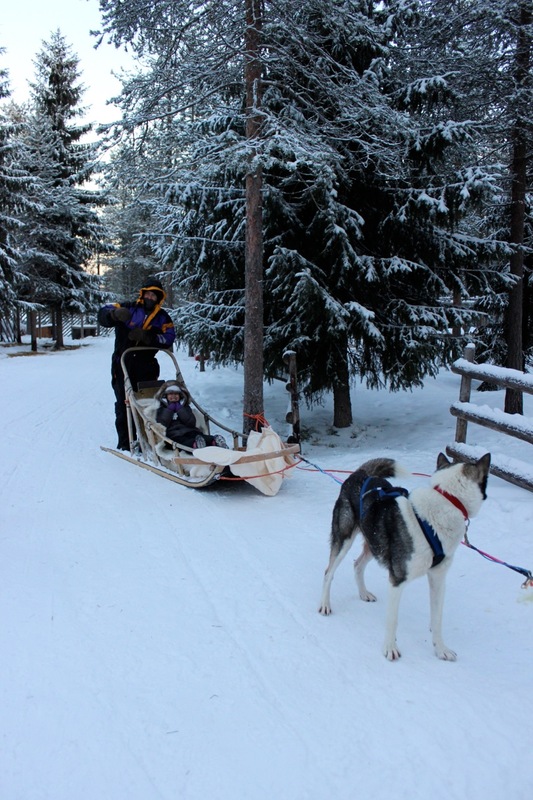 There was one sled in front of us with our tour guide and another sled behind us with another dad and his daughter. This is the entrance to the husky sled dogs. It was so beautiful all covered in snow! 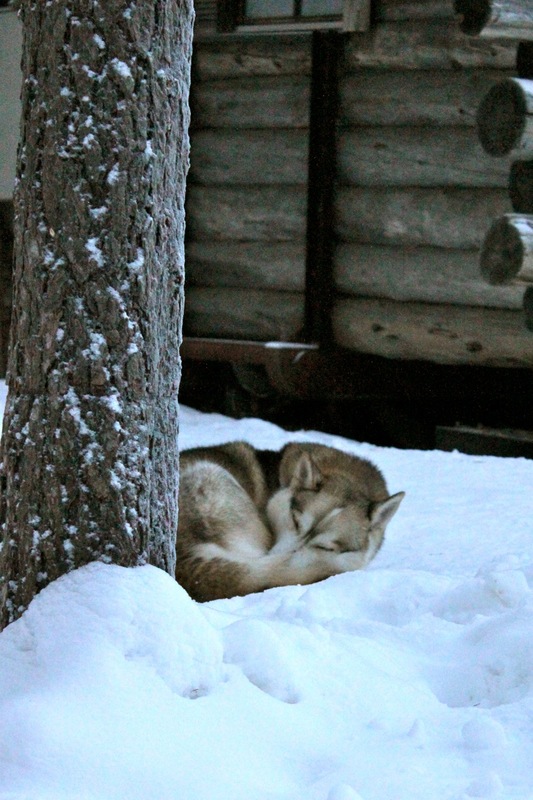 I saw this husky sleeping so peacefully in the snow when we first arrived for our sled ride. Danny and another dad learning how to drive the sleds! Danny and Mia getting ready for our sled ride. Mia and I in the sled getting ready for one of the coolest rides of our lives! 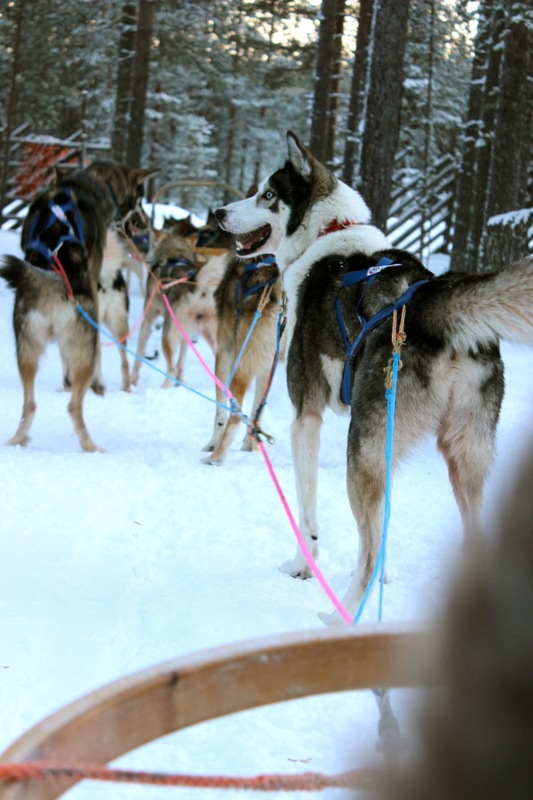 The beautiful huskies getting ready for our sled ride. The sun setting on our ride in Lapland. 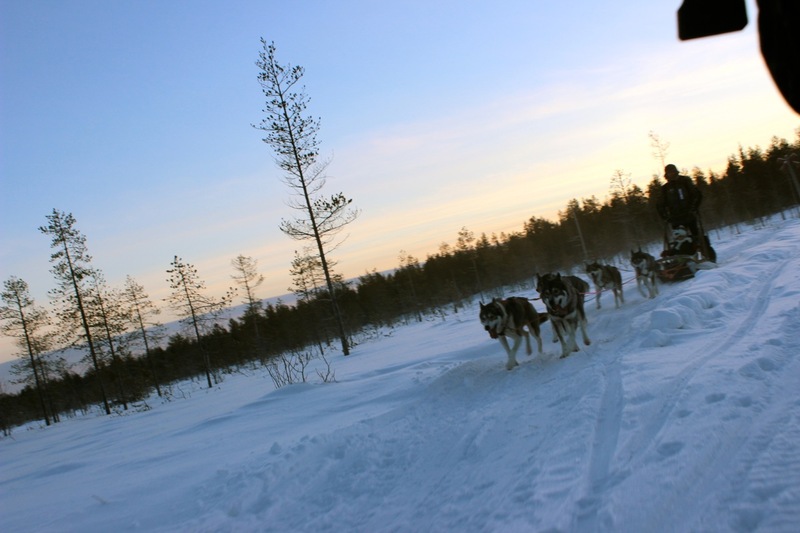 Enjoying the peacefulness… we were all by ourselves with the amazing huskies at this point during the ride. The beautiful scenery and the sun setting on our sled ride. 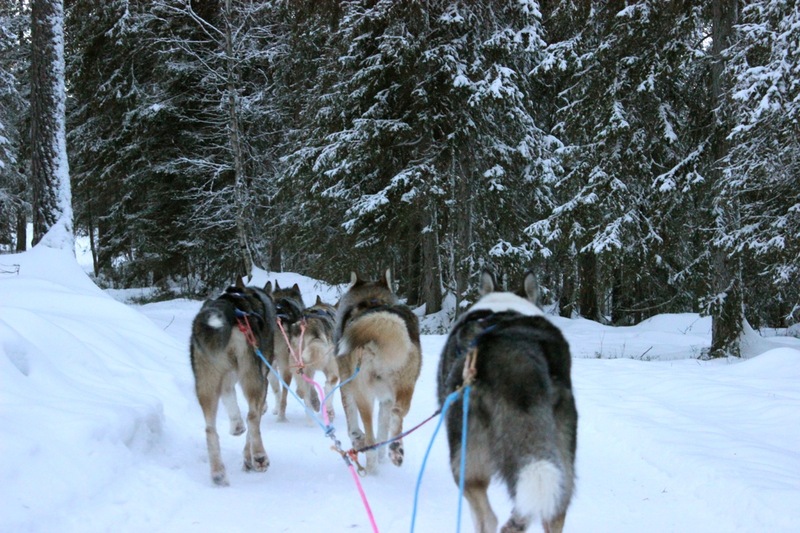 The huskies working hard on our ride through a beautiful snow covered forest. 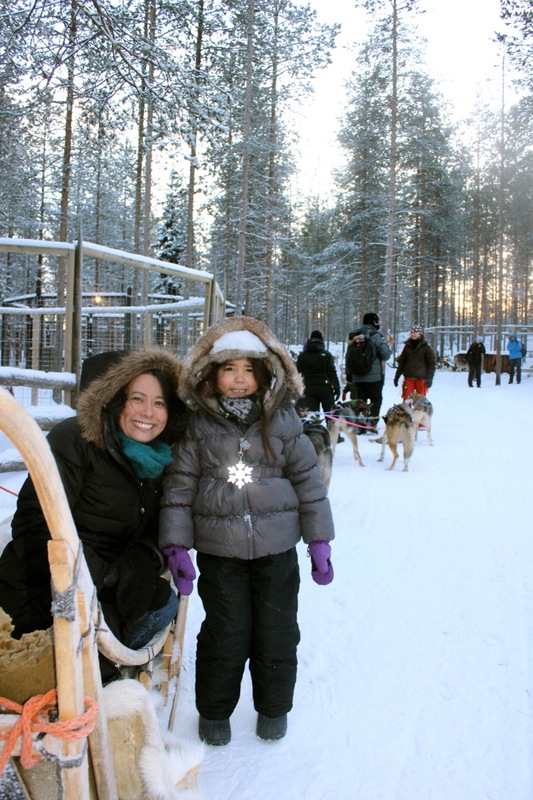 Mia and I right after our exhilarating husky sled ride! Our faces were frozen! 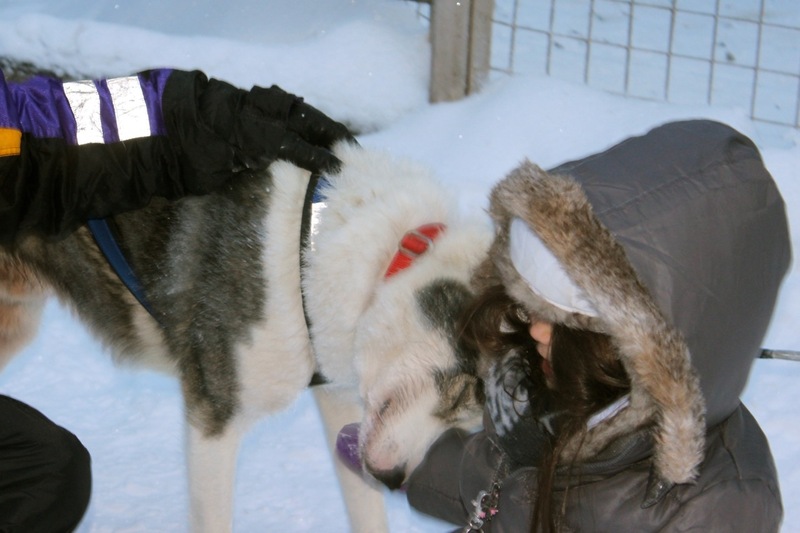 This amazing husky loved on Mia right after our sled ride! So sweet!! 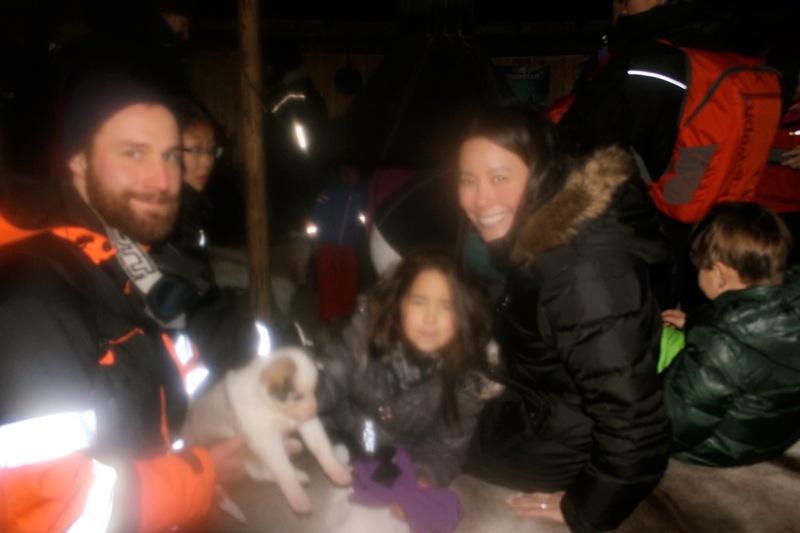 We met a cute husky puppy while thawing out by the fire after our sled ride! Our camera was fogged up from the heat in the hut! 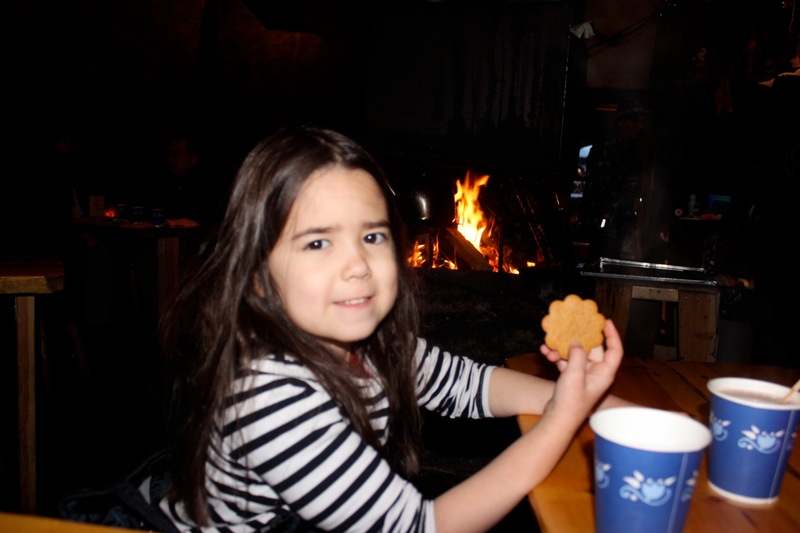 Mia enjoying a gingerbread cookie by the fire after enjoying some yummy Salmon right after our husky sled ride. 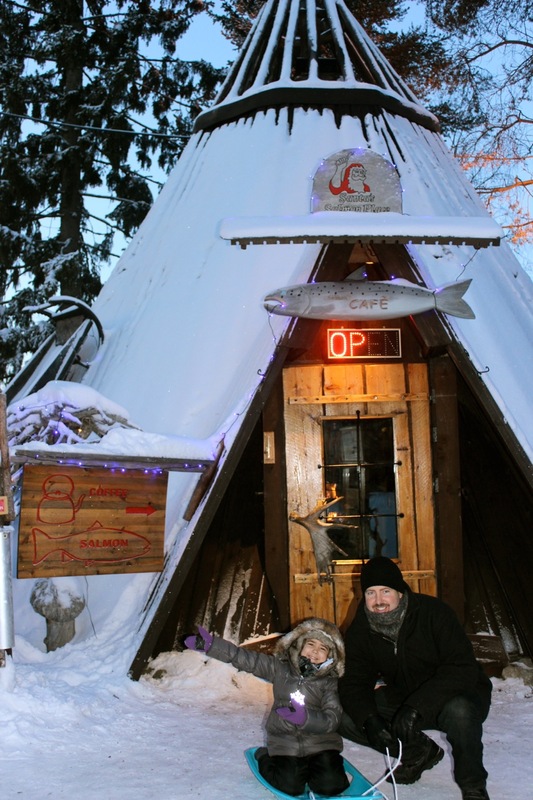 This little hut has the best Salmon… cooked over an open flame by Konsta the chef! One of my dreams has always been to see the Northern Lights in person. We knew that it could be hit or miss when trying to see them. We only had two nights to see them and we had no luck the first night of our trip even though the sky was completely clear that night. 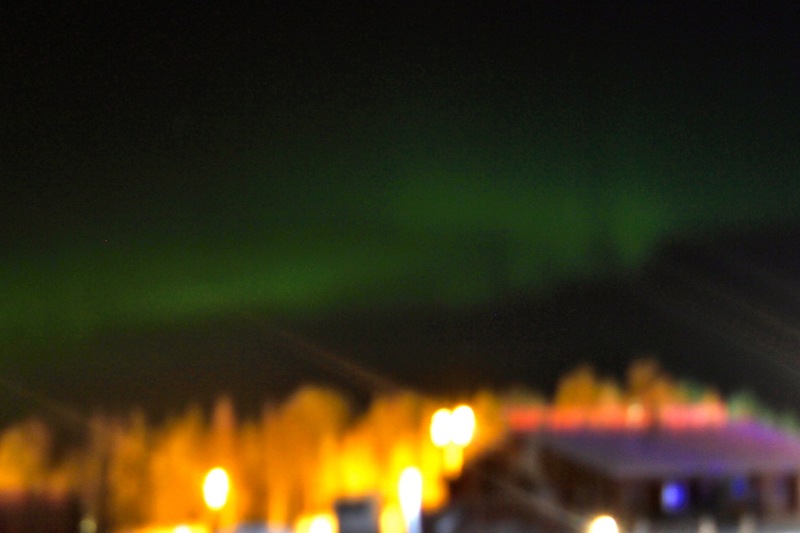 So, we had one last night and I was really hoping that we would get to see them on our trip to Lapland. I researched the internet to see what our chances would be that evening and what the best time to go out to look at the sky for them. I found out that the best time would be between 10:00 and 11:00, but we only had a moderate chance of seeing them according to the Auroras Now! website. 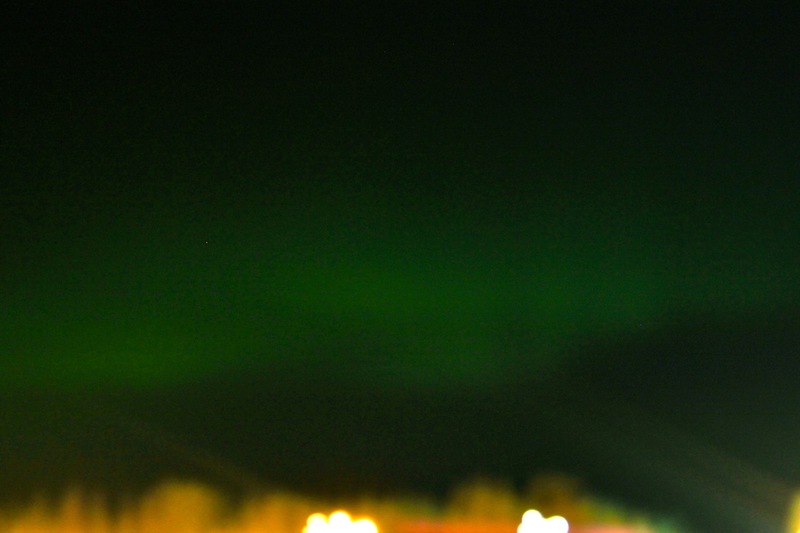 The Northern Lights only gave us a show for about 20 minutes, but it was a dream come true to see them in person! One of the coolest things we have ever seen! 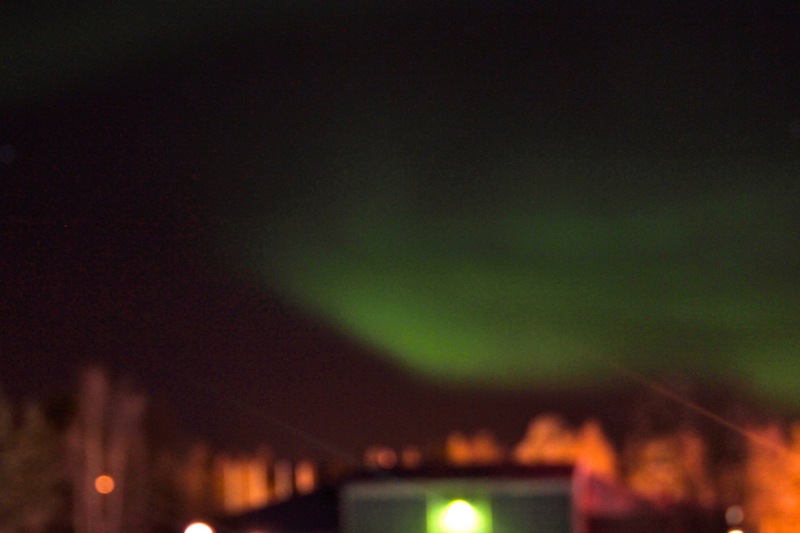 The Northern Lights in the sky right above where we stayed. 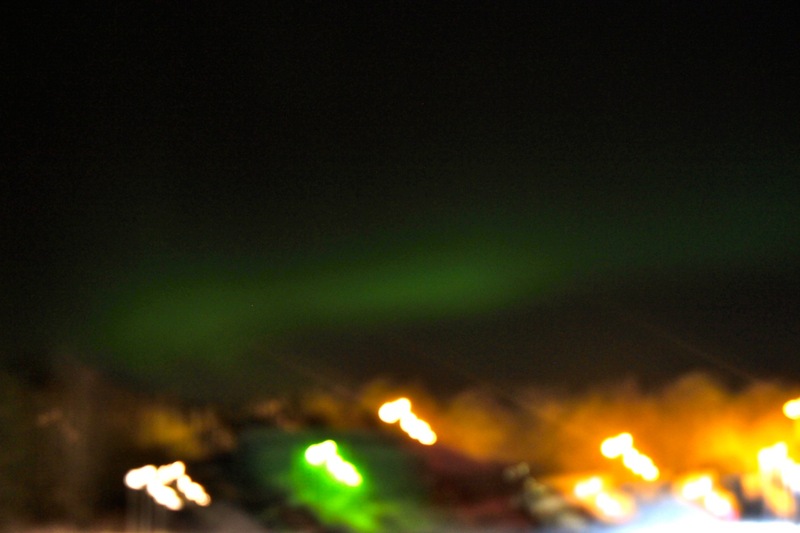 The amazing Northern Lights suddenly appeared in the sky right in front of our eyes! 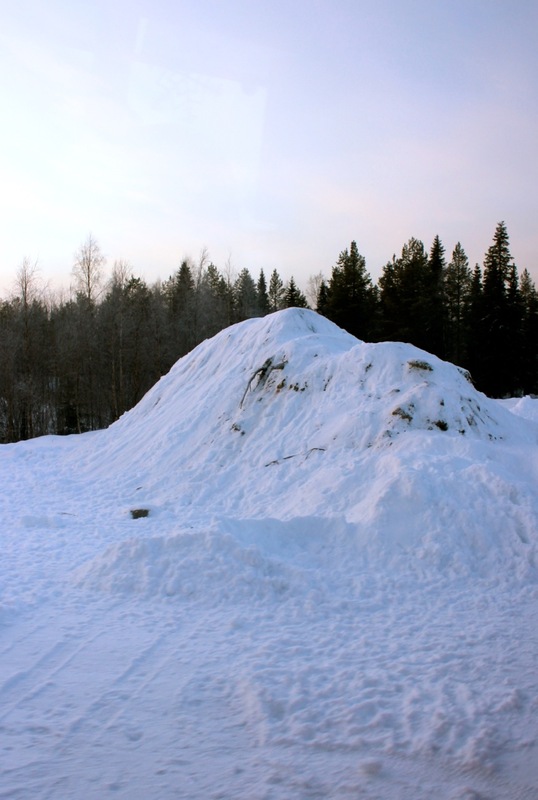 I took this shot the next morning before leaving Lapland… this is the snow mound where we viewed the Northern Lights. I will have one more post to end the craziest and most exciting year of our lives so far. To end 2013, I will share the story of a little angel who has been traveling with my family this past year.